Where will you go with your Heartland Bighorn Traveler in tow? The destination opportunities are endless because these fifth wheels are filled with everything you could need so that you fully enjoy spending your time away from home. 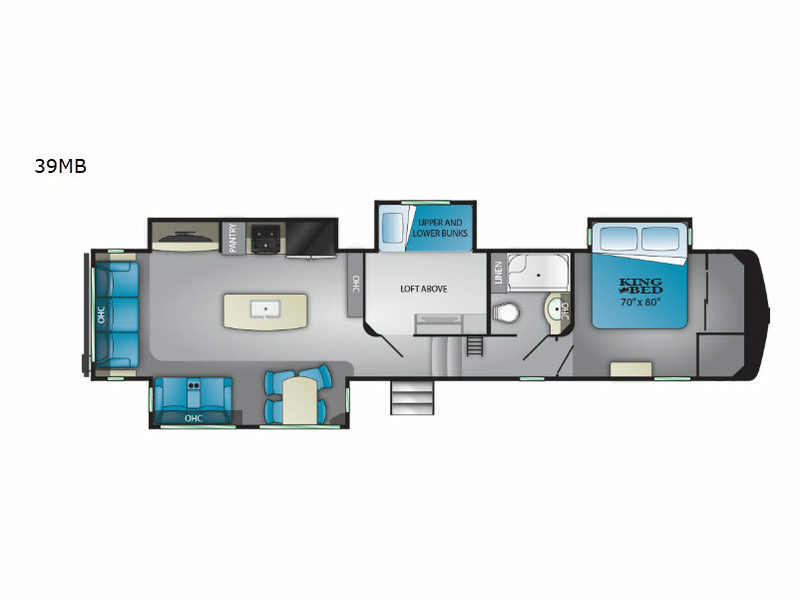 Some of the top features that you will find in these fifth wheels include: a 6-point hydraulic level-up, an all-in-one master control panel, LED HDTVs, residential furniture with power massage, and a massive drop-frame pass-through storage compartment for all of your outdoor camping gear. With the Bighorn Traveler fifth wheel by Heartland RV, you can enjoy an adventurous getaway anywhere your heart leads you!